Over the last couple of years I have been reading about the benefits of mentoring and colleagues have shared the many positive experiences they have gained from having a mentor. So what’s the problem? Simply put, as an education technologist, as with many other aspects of my professional life, I fall between the cracks. Internally, there are mentor schemes for academics, postgraduate students, administrative/clerical staff and technicians. I have asked about an equivalent scheme for professional support a few times without success and was directed to a coaching scheme instead. However, having looked at this I simply couldn’t see how it was equivalent, it seemed to be about having a set number of sessions with a stranger to work through issues or problems within the work environment. This isn’t what I was envisioning, I think of mentoring as a longer term relationship with someone with whom you build trust, who has had similar experiences and can then advise me in my goals and directions, where I am going right and where I am hurtling off in the wrong direction. Big picture guidance not small picture problem solving. I then turned to external sources again without success so I abandoned ship at that point. However, a recent Twitter conversation together with a personal review of 2017 brought these thoughts back to the front of my mind and I am taking a new approach to the problem – writing in the open. At one point, I was asked ‘who do you have in mind?’. This surprised me, is it not the very point of an official scheme that mentors and mentees are matched by backgrounds and needs combined with interests (at least this is how I see it from the outside). How on earth do I know who is best suited? Having a foot in academia and a foot in technology (and being part of neither group) with no clear routes regarding professional development doesn’t make things easy. This question then starts the snowball effect. If I were to find the right person how on earth do I cold-call a request to be my mentor? How much information do I need to give upfront? Am I going to look super needy? What do I do if this person either ignores my approaches or outright declines? What if I pre-empt this and ask more than one person and get more than one ‘yes’? I live on a small island and would have to rely on virtual connections, would that put people off? What if everyone says no???? Is this an act of total self-harm? So in lieu of any rules or guidance I am throwing caution to the wind and directly asking the people* I most admire for their work and achievements, for their strength and openness in my online network – not to be my mentor but their thoughts and advice on the whole conversation. *This list is potentially huge and I am starting small to keep things manageable initially so please feel free to forward to anyone you think I have should have tagged and apologies to anyone who did not appreciate being tagged. Before signing off I want to be clear that I am surrounded by incredible, supportive friends and colleagues who are mentors in many different ways – but it is back to being an education technologist, we don’t have clarity about our roles never mind expect others to understand and provide advice on our complex journeys. I think this post is therefore just the start of a series tackling identity and perceived identify but that is for another day. 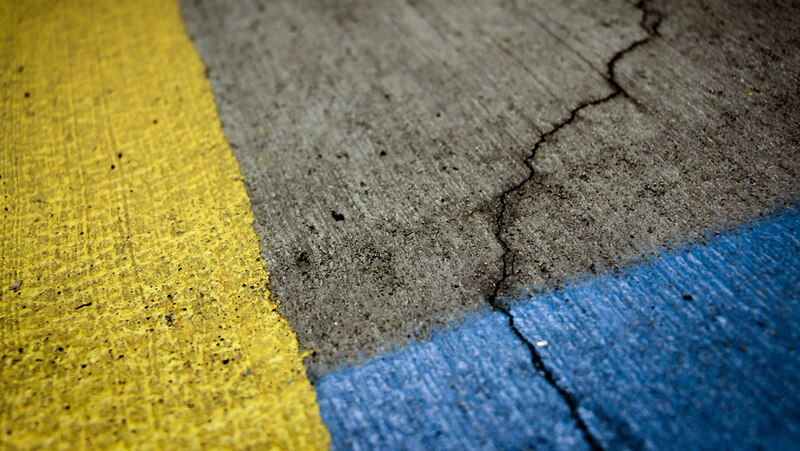 Very interesting post and I absolutely can relate to your “falling between the cracks” analogy. I have never had a professional, work mentor, like you I have (and continue to) rely on colleagues and my extended PLN for support and guidance. I wonder if this is something that mabye ALT could facilitate? Hmm I will have to think about this, but in the meantime more than happy to continue the conversation, and would be more than happy to be a potential mentor for you. Thank you Sheila, I absolutely agree that the online communities are life savers but I keep coming back to the mentor issue when there are things that are more private and difficult to deal with/discuss openly. I did approach ALT and added it to the ‘suggestion box’ this year but maybe there isn’t a big interest across the association for such a scheme. I would love to continue the discussion with you, maybe even in person one day! 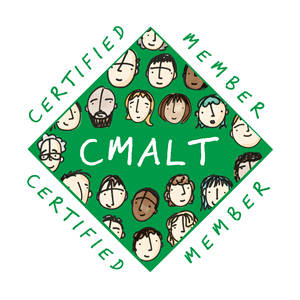 I am going to reply more generally below but it occurred to (from reading others’ experiences not from having done it myself) that some people doing CMALT have experienced a sort of mentoring by doing it in a group or seeking out CMALT practitioners. Hope I am not imagining that. Thank you Sally, I always try to channel your passion and enthusiasm and I have bookmarked your link for summer reading. Hi Clare – My institution have been actively promoting mentoring for all staff for a number of years through a programme called Mentoring Connections – more info here in case any of the resources help your thinking: http://www.ed.ac.uk/human-resources/learning-development/mentoring-connections I’ve had my own mentor through this scheme as well as being a mentor to others. I’ve also been mentoring on the HE Aurora leadership scheme (have you looked into this at all?). What I would say is that I’ve not yet been matched with someone else who does an exactly similar job to mine – for many of the reasons that you highlight – and it’s not been an issue. Actually sometimes it’s been useful in terms of breadth of perspective they can offer. My own mentor has been from the central student administration area and that’s been a really nice complimentary blend. What has been most important for me is having someone a few years ahead of me career wise who I can build up trust with to be a good critical friend. As an example last summer I knew I had an enormous project coming my way. I took a whole set of materials I have from various learning and development sessions about strengths and weaknesses, and synthesised it into a reflective statement that covered how I would tackle this project. I then shared that statement, along with the raw material I based it on, and asked my mentor to call me out on anything I had missed. We spent a good hour together and he asked me a number of challenging questions and I left feeling really well prepared for what was to come. So if you’re thinking about who local to you might be able to help – perhaps think about who you know that has common sense, enough years in the job and who you could build trust with. Helping them understand the details of your role is something you can cover as you build a relationship with them. Also – as per others above – I would be happy to offer mentoring support to you if you would like it? I think the key question you have here is how do you know who is best suited to mentor you? Honestly, any systematic matching and mentoring process is reductionist and doesn’t account for individual needs and social dynamics that cannot be measured. I have had many mentors and been told by others they consider me a mentor. None of this involved cold calling or naming the relationship. Sometimes more experienced people find interest/care for ppl earlier in their careers and this can develop into partial or holistic mentorship. I don’t have ONE mentor, nor do i ever want to restrict myself that way. No one person can do that for all dimensions of myself that need support. I guess my advice is… Keep a lookout for building relationships with people who inspire you and give you attention and see where it goes. You may end up w more mentors than u thought. Thank you Maha. In some ways my post and all the responses have answered my questions. You say that it needn’t involve cold-calling but rethinking it, the act of sending my post out to specific people for advice was partially cold-calling, just framed as ‘advice’ and not ‘be my mentor’. Many people have spoken of trust and care and not having a single official person and that resonates with my own practice and beliefs. It took me to put my hand up and say ‘Hi world, I think I need a bit help here’ and open the conversation which wasn’t easy. So you are right, even less than a day after writing, I am sure that I am going to end up with a lot more mentors than I thought and that is amazing but I think you definitely DID answer many of my questions.